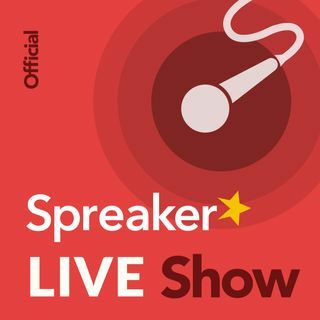 -Spreaker powered by Voxnest - Whole new booth experience this year with ability to use touch screens to see all of our platforms in our software. Dynamic Ad Insertion is now accessible to all levels of podcasters. In this session, our Head of Partnerships Rob Greenlee, together with other podcasting business veterans, will discuss the growing area of dynamic ad insertion with leading experts that can share real-world experiences. Ad insertion technology is being used by an increasing number of podcasters to not only increase advertising revenue across archive episodes but also to insert pre-recorded host/live read and mentions as well. They will discuss when it makes sense to use ad insertion and how this element of ad technology will continue to change podcast advertising as programmatic buying increases. In this session, speakers from the very top podcasting industry will take a deep dive into every major facet of the podcasting space in 2018 and beyond and will highlight 2018 market trending data around content, discovery, audience, metrics, platforms, and monetization. Panelists are Rob Greenlee, Todd Cochrane, Kerri Hoffman, Rob Walch, Todd Cochrane, Tom Webster, Hernan Lopez. - Does ad insertion make sense for all sizes and types of podcast publishers? The Smart Audio Report (Spring 2018) from NPR and Edison Research". -With more than 43M smart speaker owners in the U.S., adoption of smart speakers is going mainstream. Does ad insertion make sense for all sizes and types of podcast publishers? -Yes, it can work with Programmatic ads and being able to monetize archive episodes. -Non-evergreen past shows will make less money then shows with true evergreen content. @spreaker I hate your tagline. "Listen to the world's trendiest podcasts or create your own on Spreaker"? TRENDIEST? Talk about putting off 99% of your creators! All my sites are SSL. It's $8 a year. Go Daddy charges an arm and a leg for SSL. If you are hosting on WIX, you can get the SSL free. Hi . . . just got back. Listening on Spreaker web and listen to a show later (not live) all of the way through and notice 0 plays and so many downloads. Then come back later because I commented and wanted to see if someone else had commented also, and it still shows 0 plays. Hi Linda, Can you clarify a little more on your question? Are you asking about embed webplayer counts? My question today is why are my listens to other episodes not showing up where the listen counts are visible? A game computer is not a bad idea. I'll have to listen to the show again on the subject about ads. Thank you Rob and Alex! I'm glad you liked it! I'm glad it's useful. Thank you Linda! Rob - I'll do a show with you at PM18. I played all the way through and it showed 0 plays. Yes. My plays are not showing up that I listened. I embed on my sites from Spreaker. Spreaker is the easiest platform to start podcasting right away. With only a phone and earbuds you can begin podcasting. It won't be perfect, but you will have begun. I do not consider myself trendy, but Spreaker itself may be trendy in comparison to other platforms. I listen to several here on Spreaker. Send me a live read and I'll read it tomorrow night. Rob don't forget my t-shirt. Could be built into your shower head to listen to podcasts in the shower. I listen through head-phones on P.C. with Windows 10 and Dolby sound. Linda, Could be built into devices in bathroom or mirror. Great news, Tamara! See you there! Have a great time and let us know all about your experiences!